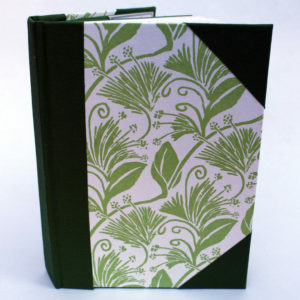 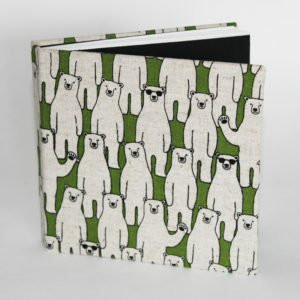 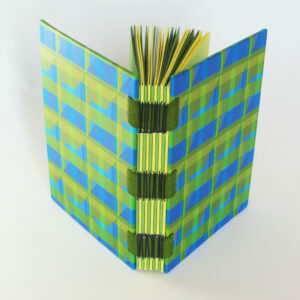 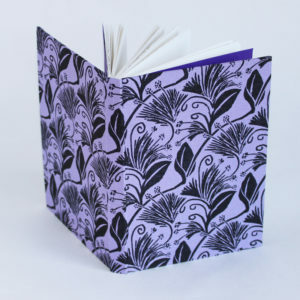 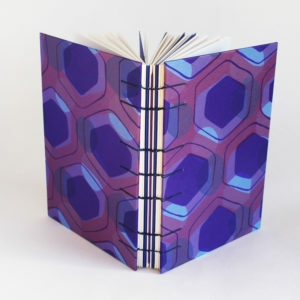 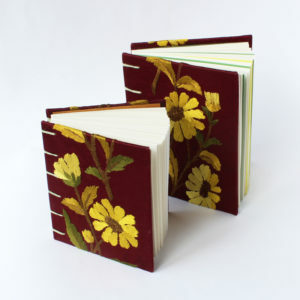 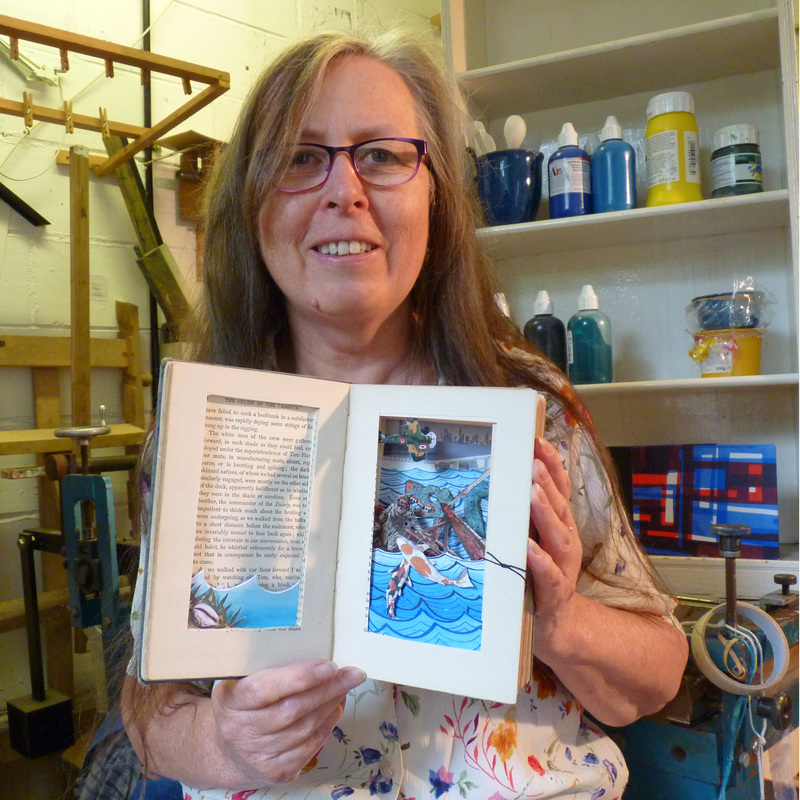 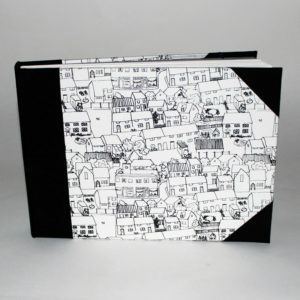 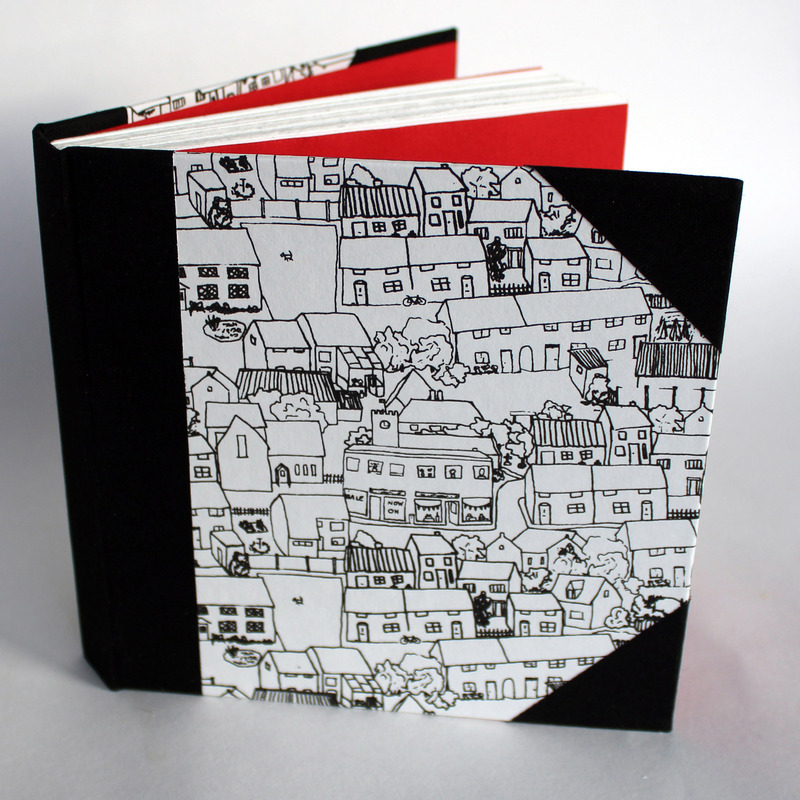 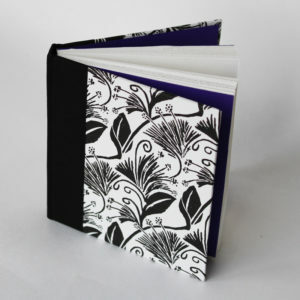 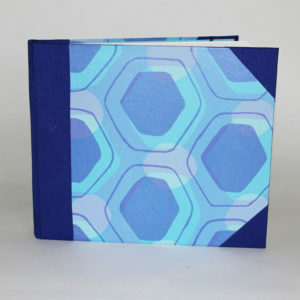 Carole creates sketchbooks, notebooks and journals. 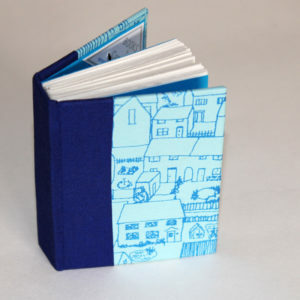 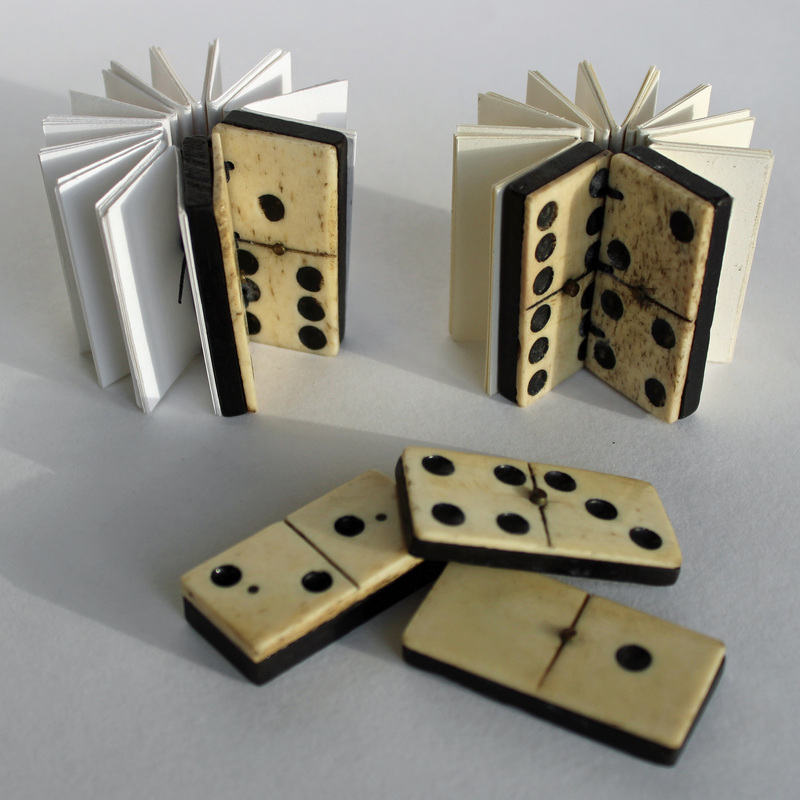 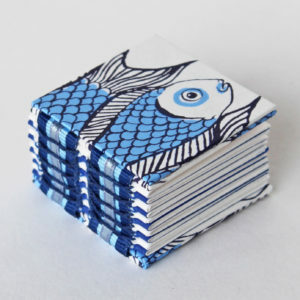 From her studio in West Wales come books with paper or more unusual covers. 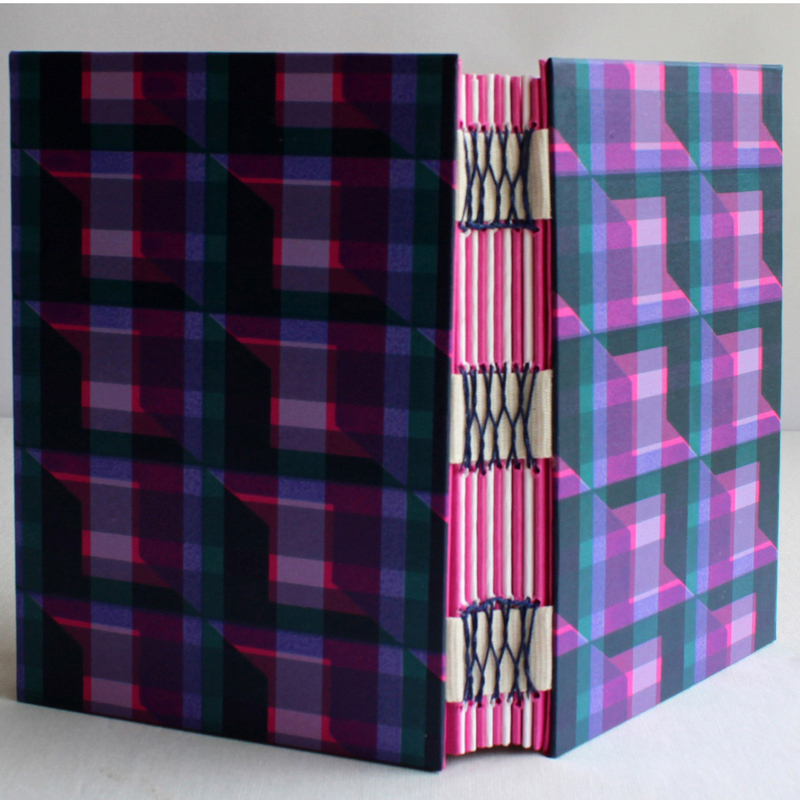 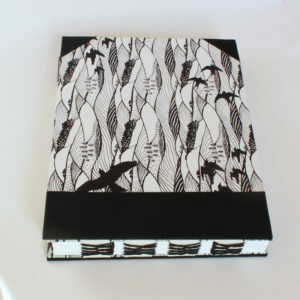 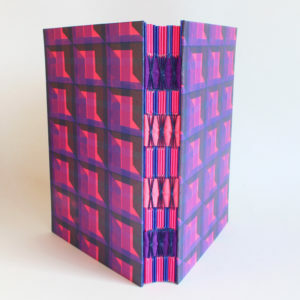 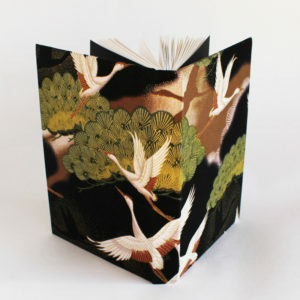 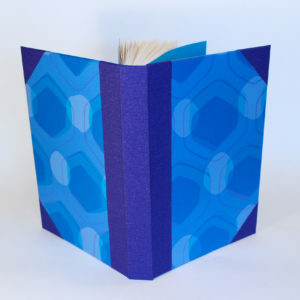 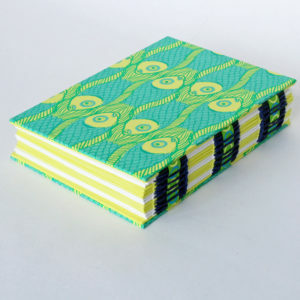 Her hand stitched and bound books combine her own unique designed and hand silkscreen printed papers with a variety of bindings: creating traditional books for a wide range purposes. 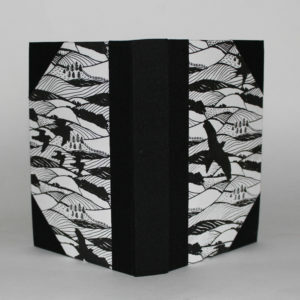 Basket “A5 Hills and Dales lined notebook or journal” has been added to your basket. 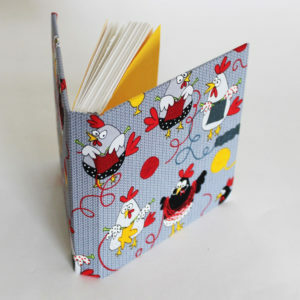 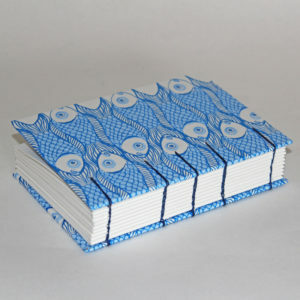 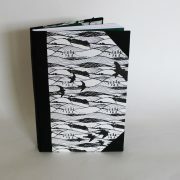 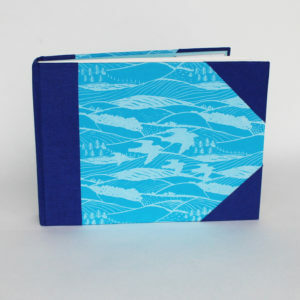 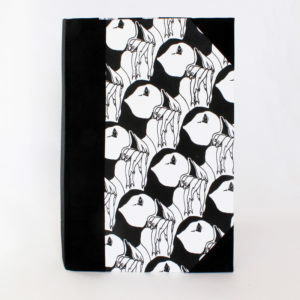 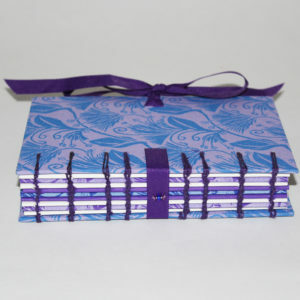 Blue pocket sketchbook, notebook or journal with birds.